My most available local wild fruits-ChokeBerries and Elderberries. To collect these berries, I snip the whole berry cluster, and then I put the clusters on a steel tray and into the freezer they go, in a couple hours when frozen, I take them out and using a folk, just pop the frozen berries off into a bowl, throwing away the stem, now you can do this unfrozen but its alot more messy, colorful and you won’t have killed off the many, many little tiny bugs that will be coming in with the fruit..
Folks like to dry the berries, freeze or Can them for later use, or make them into juice to be used to be made into jelly, or syrups or cough syrups etc. These bushes can grow five to eight feet in a single year, they do require a fair amount of pruning to keep them their most productive, while one will do ok, a row of them will outproduce the single bush with at least double the fruit, so it does appear to help plant at least few together. The second most common berry bush in my area would be the black or blue Chokeberry, it is not a big of a bush as the elderberry and it takes alot longer to grow and produce berries but on the other hand the big patch that I pick from requires no care from me, it does not need to be pruned each year, nor do I need to really feed it, it just does its thing and yet remains loaded with berries each year. 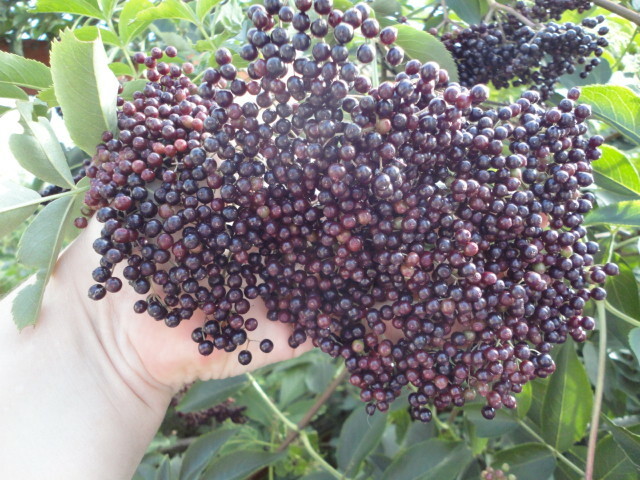 Elderberries bush’s outproduce the chokeberry at a min of 3 to 1 in the amount of berries produced but the chokeberries fruit is at least twice the size of the average elderberry and must be hand pick off the bush. While they say you can eat the chokeberry fresh, it has two fairly large seeds in each one and for me at least, I would not enjoy the fresh taste, they need to be made into juice for home use in our place. The Chokeberries are very healthy for you. The amount of research given into this berry is amazing, Germany and Europe exported it back when they found N.A. and it has been known and used there much more then I think it has been here in recent years. When I grew up out west, the most common wild berry was the saskatoon, and many hours of my childhood was spent picking with my family, now on my little farm, the Elderberry and Chokeberry had found there place into my kitchen..
What is your most common and available Wild Fruit in your area? 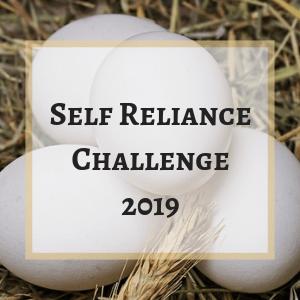 This entry was posted in wild foods and tagged 100 mile food challange, Garden, Soft Fruits, Wild Foods. Bookmark the permalink. 5 Responses to My most available local wild fruits-ChokeBerries and Elderberries. My Lord, you are SO prolific: I don’t know how anyone could keep up to you. Salut! I want to comment on your next post, but need to take time with it. Are Chokeberries and ChokeCherries the same thing? Around here ChokeCherries are the ones that tent caterpillars love so much and taste, well REALLY dry in the mouth. You are so right; wildcrafting is so easy, if you know what you’re doing. LOL, I swear I am not, I am always behind on things, you should see that never ending list, I get something crossed off, and five more get added.. it never ends! 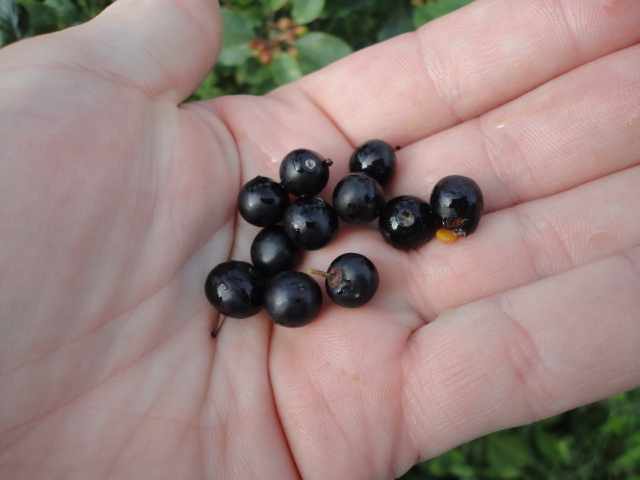 No, Chokeberries and ChokeCherries are not the same thing, I grew up out west picking and mom making chokecherry jelly and syrups and I have found a few wild chokecherry tree’s in our area, they seem more prolific as soon as you drive up north a few hours then they do in my local area. The Chokeberry was not something I had ever seen or heard of before, but when I was looking for fruit bushes at the local nursery the first year we were here, they had chokeberry bushes for sale and I said to hubby, they had to have gotten the name wrong, and he said, and the color of the berry wrong as well? so I looked them up and went O, learn something new every day, and then we quickly found the big wild patches just off the hay fields down the road and the birds have wild seeded a number of bushes onto our farm, when we see them pop up, we dig them out and move them to their area and just let them be..
I’ve been thinking about our plant-swap idea and I think (if I didn’t pull it by accident): that I have a Mulberry seedling in the garden(weed-patch/jungle)… Perhaps we could trade for a piece of your Chokeberry? Had a bunch of Black Raspberry volunteers too – maybe(hopefully) find more? Hi Deb, if you want a a couple Chokeberry baby plants, I am sure I can find some to dig up for you in the spring, If? you have them, I would love some black Raspberry volunteers.